A trip to Salt Range and Kalar Kahar along with a 2 days LUMS HR Confluence. We plan to take young participants aiming to develop contacts with the corporate community and be a part of the upcoming generation of managers/leaders. Its a great opportunity to learn and enjoy a road trip through Lahore, Kalar Kahar, Katas Raj and Khewra mines and back to LUMS. *Partial Sponsorship are available for Need base Students. *Executive Participants have to pay 3000 extra. * Students must register before the above stated deadline. 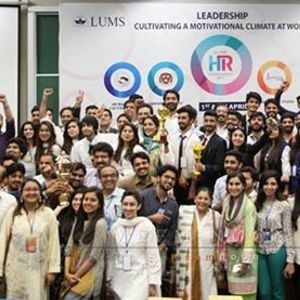 Disclaimer: HR Confluence is purely a project of LUMS, Youth Club doesn't own LUMS event..